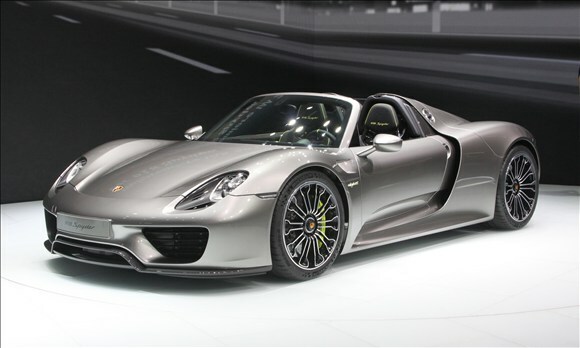 The stunning Porsche 918 Spyder was revealed at the Frankfurt Motor Show on Tuesday. The near million-dollar car has a price that’s four and a half times higher than the Porsche 911 Turbo S. It was built to battle the new crop of supercars including the Ferrari LaFerrari and McLaren P1. Well, the Zuffenhausen bruiser sent the first volley by dropping a Nürburgring lap time of just 6 minutes and 57 seconds. Porsche says that shaved 14 seconds of the previous record for a street-legal automobile and 17 seconds off its run from last September. The driver was Marc Lieb. That lap time puts it 2 seconds behind the Radical SR8 and 9 seconds behind the SR8 LM for the fastest production car lap around the ‘Ring — according to the Wikipedia entry on the subject — and about 15 seconds ahead of the Gumpert Apollo and 2010 Dodge Viper ACR. 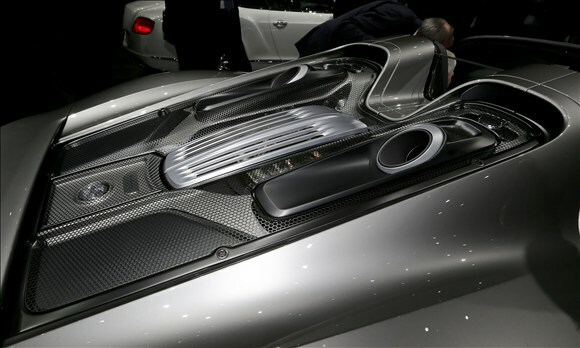 The 887-hp supercar was equipped with the optional “Weissach Package” that sheds of some interior amenities and adds some lightweight carbon-fiber parts, magnesium wheels, flame-resistant upholstery, racing belts and aerodynamic aids for buyers who hope to be on the racetrack more than the road.